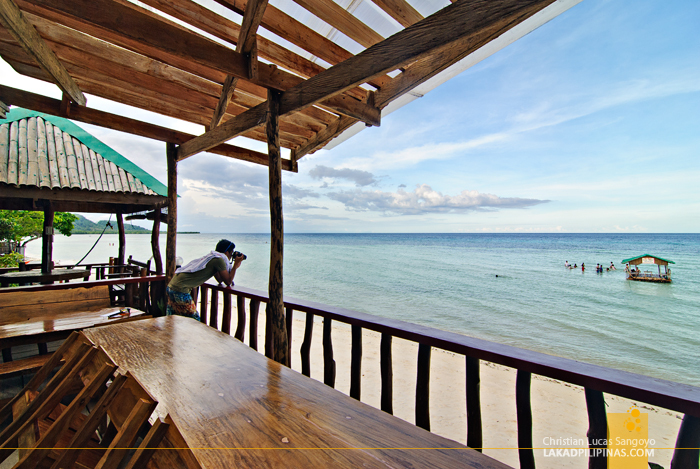 The Quinale Beach in Anda, where arguably the finest beach sand can be found in the country, is home to a few resorts. 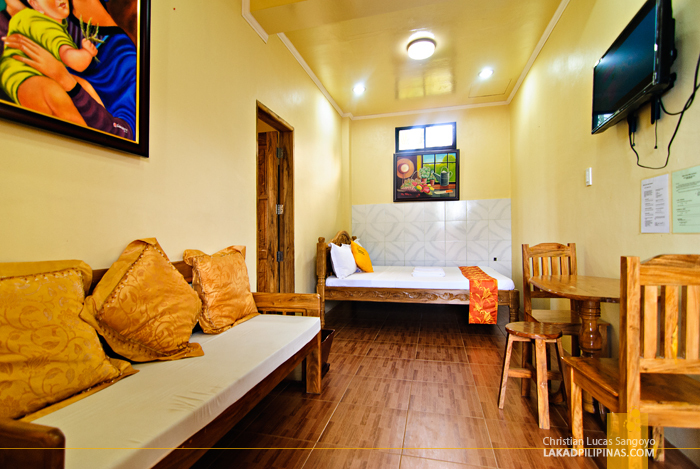 Although access to the beach is almost free (no fees for the local and Php10.00 for outsiders), for tourists wanting to stay overnight and on a tight budget, Anda de Boracay is the perfect lodging of choice. 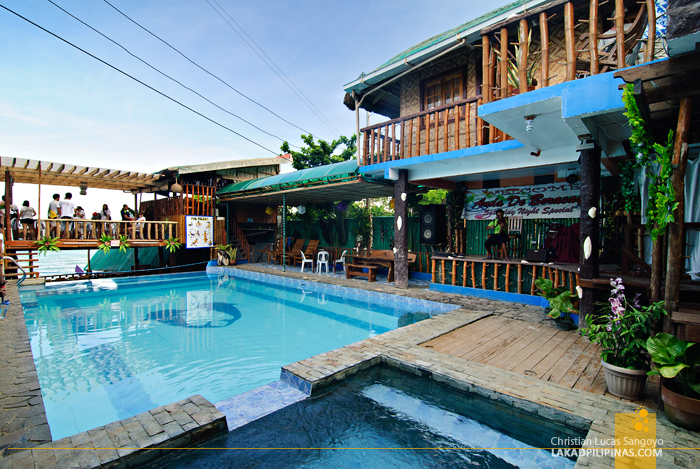 The resort is located just some meters away from the municipal plaza and can be accessed either via the town road or through the beach. I prefer the latter; there’s nothing like walking through Anda’s fine white sand beach, your feet sinking softly with each leisurely step. The resort has a twin pool, a jet and a regular one. On one side is their elevated restaurant, Café Tacio, and on the other, a stage for live performers. That afternoon, we have a solo violinist serenading us as we each took an extremely good glass of buko juice. The restaurant is an open-aired affair made with bamboo and thatched cogons; it was actually quite breezy. One part overlooks the pool and another faces the beach. 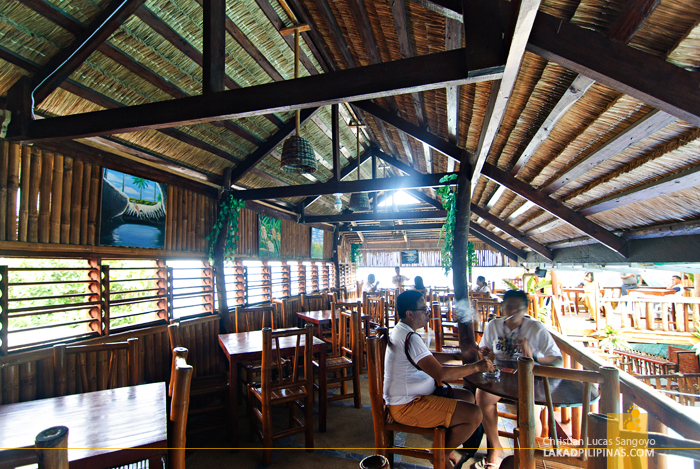 It has a really laid back atmosphere, perfect for chilling out with bottles of beer and platefuls of sizzling sisig. 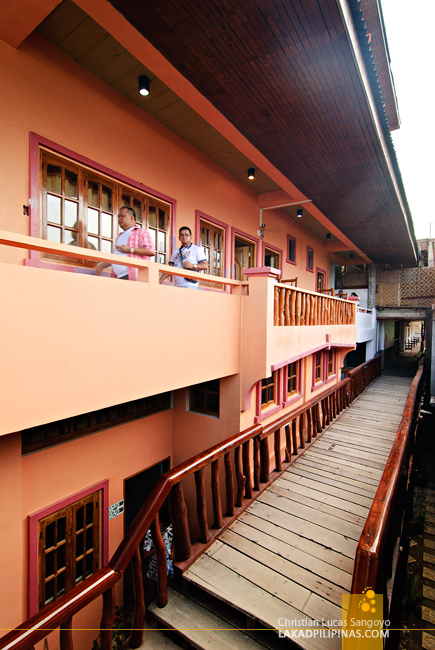 Most of the rooms at Anda de Boracay are located on a three-storey building situated near the road area. There isn’t much of a view really unless you’re on the topmost floor of the structure and looking out of the balcony. 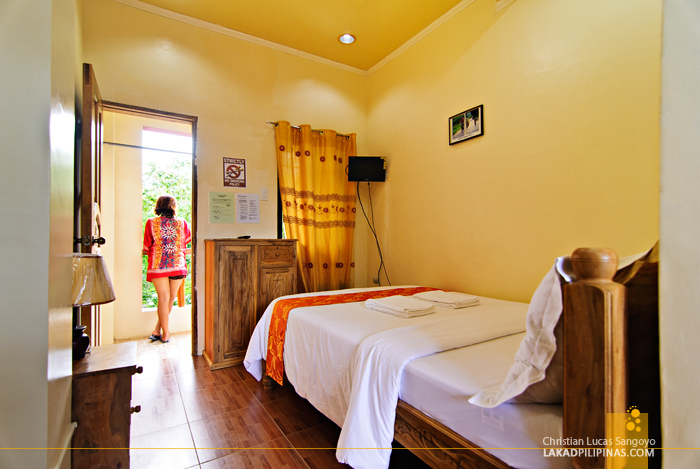 The resort has four types of rooms, Standard Twin Bed (3pax), Double Bed Ocean View (2pax), Family Room (4pax) and Honeymoon Ocean View (2pax). You may check the rates here. The rooms are quite spacious, although I find them to be lacking a bit in the design department; the furnishing are quite utilitarian and the walls are almost bare. There is a flat-screen panel with cable and air-conditioning (this actually depends on the type of room). Wi-Fi Internet is also available, although it’s not free. We got to check out each type of rooms in Anda de Boracay and I was happy to see that even the smallest types doesn’t feel cramped at all. Plus points to the resort for that. Each of the rooms also has its own en suite toilet and bath. The fixtures are quite decent although there is no bidet. I like the fact that there are pails and tabo ready at each one; a definite necessity for Filipinos, no need to ask for one. 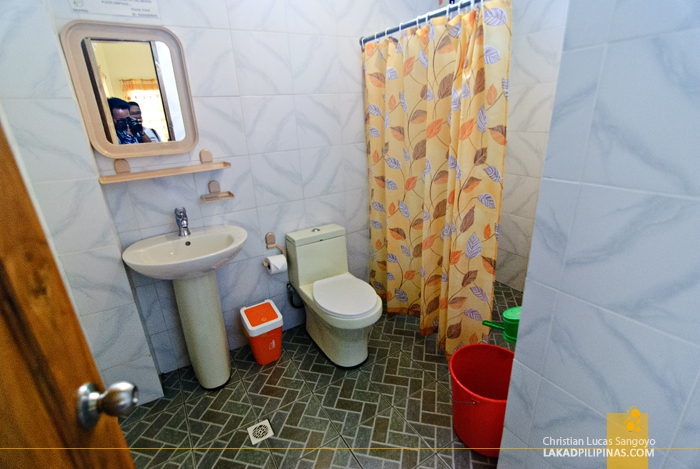 Hot water is also available, which is an essential for foreign guests and a luxury for locals. 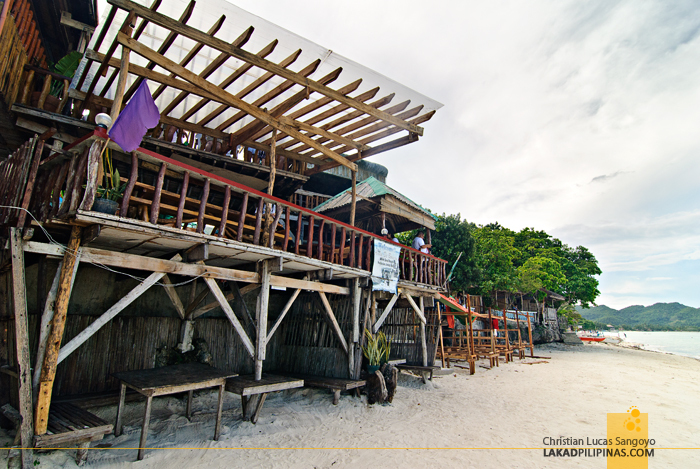 But the best part of Anda de Boracay is located outside the resort proper; their beach. Here, the sand is almost blindingly white and is super fine. The shoreline meets with relatively shallow water, perfectly safe for kids. 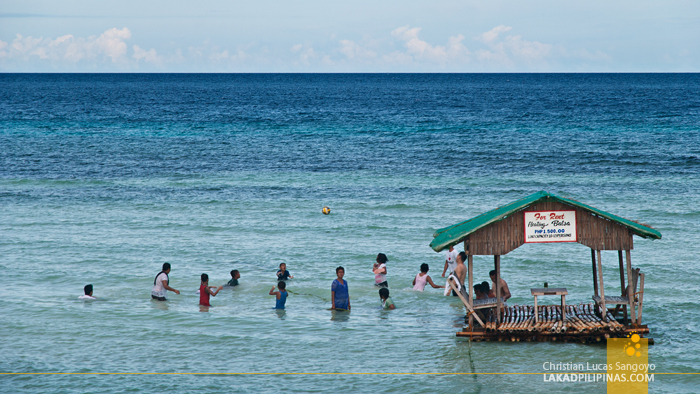 A rentable balsa hut (Php1,500.00) floats by just a few meters from the shore, a good spot for a family picnic. is it safe to travel alone in anda ? Bohol is one of the safest places for solo travellers. Zero NPA and other insurgents. Trust me on that. 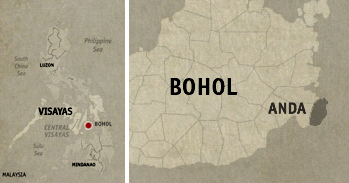 How much is the fare from cebu city to bohol? And is it okay to bring a tent instead?